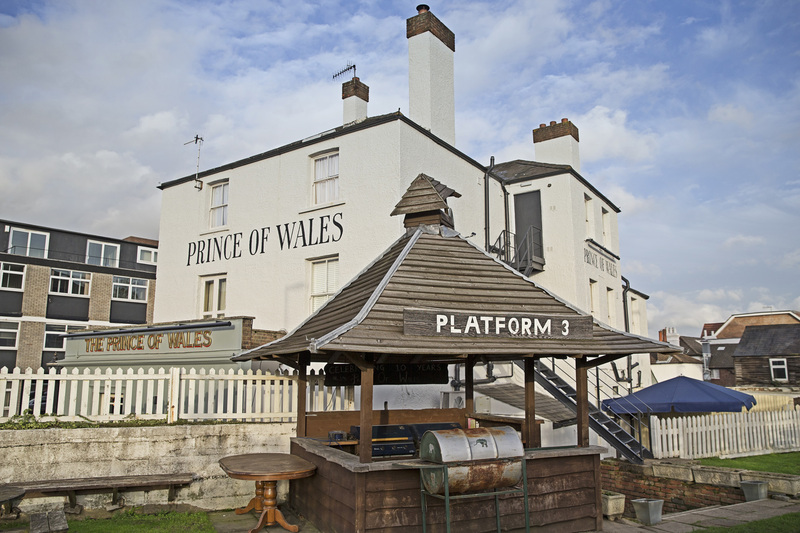 The Prince of Wales pub in Reigate sits right next to the railway station at the bottom of Reigate Hill. Reigate itself is a charming Surrey town to the south of the M25 and west of Redhill. By car: Starting from Redhill, follow High Street straight on. Immediately turn right on to A25 (London Road). Take third available exit off roundabout on to A23 (Princess Way). Take third available exit off roundabout on to A23 (Marketfield Way). Take second available exit off roundabout on to A25 (High Street). Follow A25 (Station Road) where the road splits. Take first available exit off roundabout on to A25 (Linkfield Corner). Turn right on to A242 (Croydon Road). Take second available left on to Holmesdale Road and arrive at the Prince of Wales. By bus: 32, 324, 420, 435, 460 all stop nearby.